I once had a sinn 104 and loved the countdown bezel. The bi directional bezel made more sense to me (I don't dive). I found I use a countdown more than a timer. 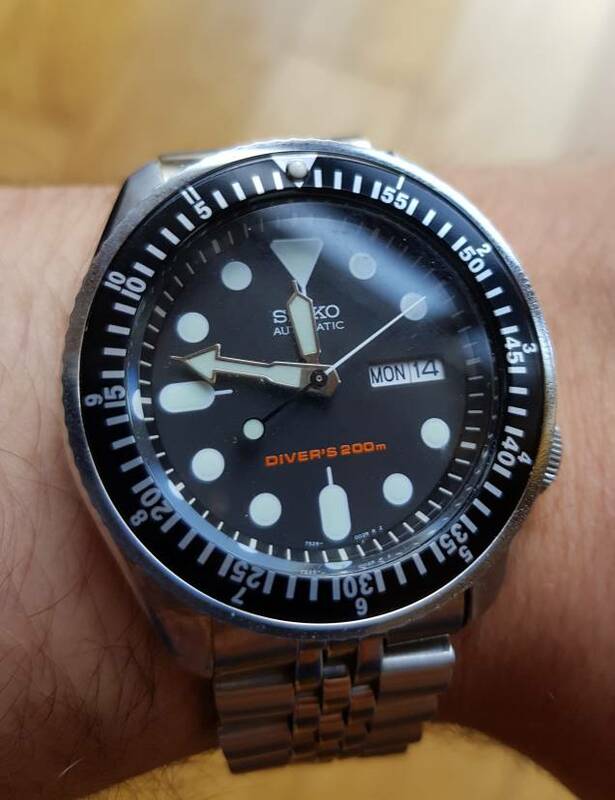 I had to sell it and wondered if I could mod a skx to do the same. Another part of me wanted a 12 hour bezel to track a second time zone. I found a gnarled bezel and an insert to do both. Now was the problem of bi directional. I removed the click spring and added a thicker gasket and created a bi-directional friction bezel. My humble skx can now tell time, day, date, second time zone, time hours and countdown minutes. Not bad for a small mod. Nice work! It's good to see a mod to add functionality rather than just for looks.